As garden landscaping specialists, we produce, supply and deliver a wide range of garden and landscaping products to garden retailers across the UK and Ireland. 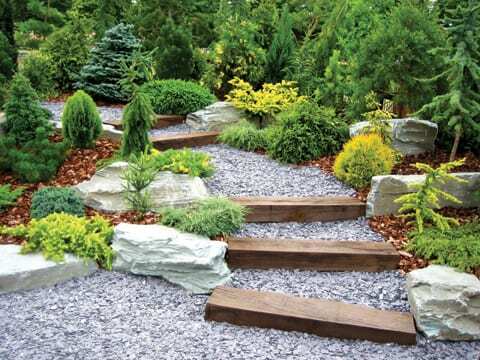 We’re dedicated to providing our retailers with the best products and services for all gardening and landscaping areas. All our products are carefully selected from around the world, ensuring that their quality is of the highest standard at all times. We continue to extend and add new products to our already comprehensive range of Decorative Aggregates, Paving, Growing Media and Water Features. New products include Decorative Birdhouses and Feeders based on buildings from around the world. In addition to this we have extended our Winter Range with sledges and rock salt based products. All of our products are carefully selected by our product development team. This ensures that all of Deco-Pak’s products are of the highest quality at the most competitive rate. Above all else our deliveries are efficiently dispatched to the retailers needs. Dear decopak, website extremely helpful but please would you be able to clarify sources, supply chain and csr policy. I’m looking to buy decopak gravel from a local supplier and would like to ensure ethical supply and environmental credentials of source.